French vs Sliding Patio Doors: Which Door Style is Best? French vs Sliding Patio Doors: Which Door Style is Best? Patio doors come in a variety of styles, but the two most common are French patio doors and sliding patio doors. Both door styles have a lot to offer, so when comparing French vs sliding patio doors the best way to determine the right door for your home is to consider your needs and preferences. To help you choose the right patio door for your home we’ll discuss the pros and cons of each patio door style so you can make an informed decision. 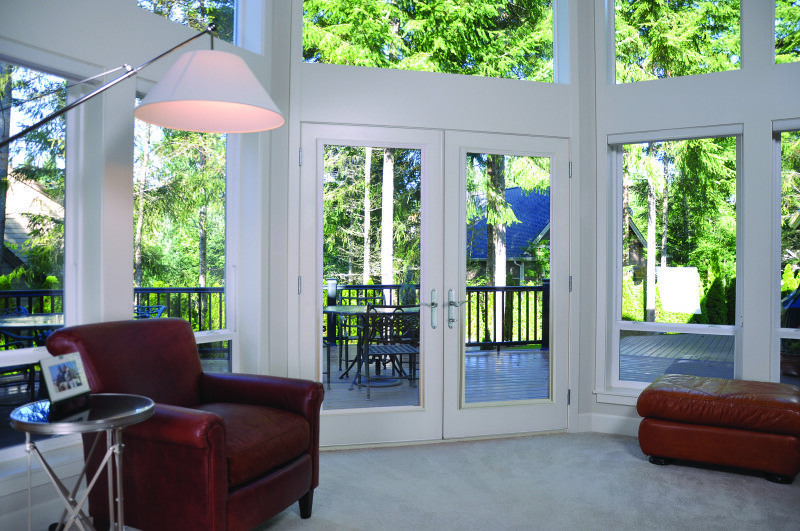 Fast facts about these patio door styles. French patio doors are also called swinging patio doors or hinged patio doors. French doors can open inward or outward from the center. Because of their more intricate appearance, French doors are more commonly used in homes that have traditional architectural styles. Sliding patio doors are sometimes referred to as gliding patio doors. Sliding doors slide open and closed. 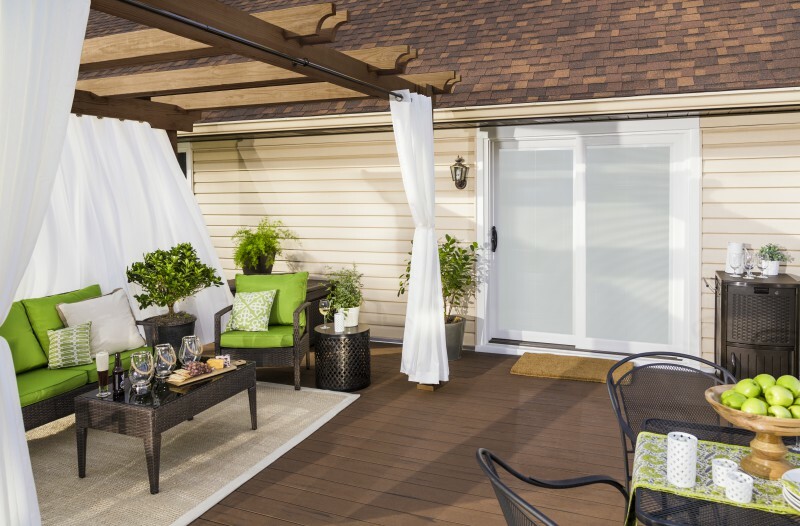 A sliding door comes with a sliding screen door, so you can leave your door open and enjoy a comfortable breeze without worrying about bugs. Do French or sliding patio doors cost more? French patio doors typically cost more than sliding patio doors, but the cost of either door style can vary greatly depending on the custom options you choose. In fact, Home Advisor estimates the average cost to install any door is between $475 and $1291, which is a fairly wide range. In reality, when determining the cost of any patio door, it’s really up to you and your preferences. Perhaps you want to replace your existing sliding door with French doors. Or you’re looking for a new patio door color that will fit your home decor. 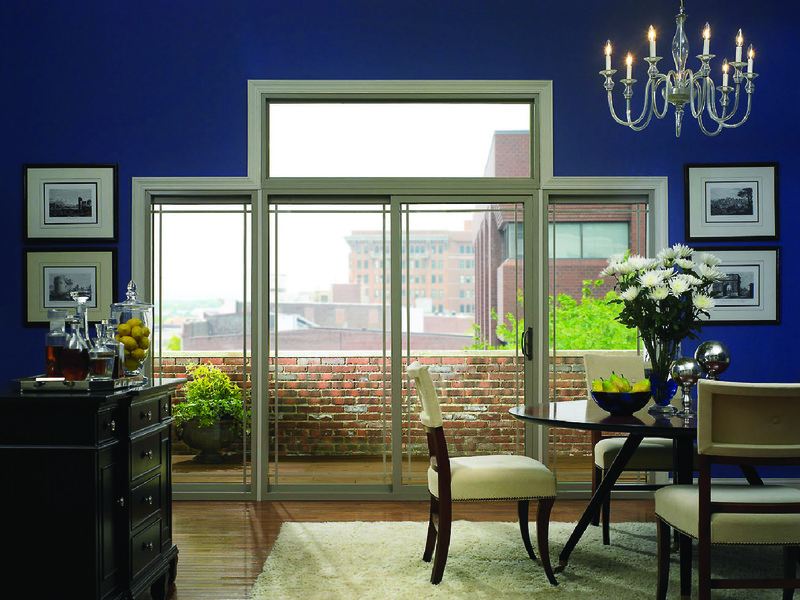 Or maybe, you just want the most energy efficient patio door on the market. All of these factors and much more can affect the cost. Design differences between French patio doors and sliding patio doors. There are a few key design differences between French and sliding patio doors that could determine which door is best for your home: the door frame, the patio door hardware, and, most importantly, how much space they use. 1. French doors have a wider door frame. A sliding glass door frame is typically narrower than a French patio door frame, which means it will allow more natural light into your home. However, the wider frame on a French patio door is a more traditional style, which many homeowners desire. 2. French doors and sliding doors have different hardware. Because sliding doors and French doors operate differently they come with different hardware options. 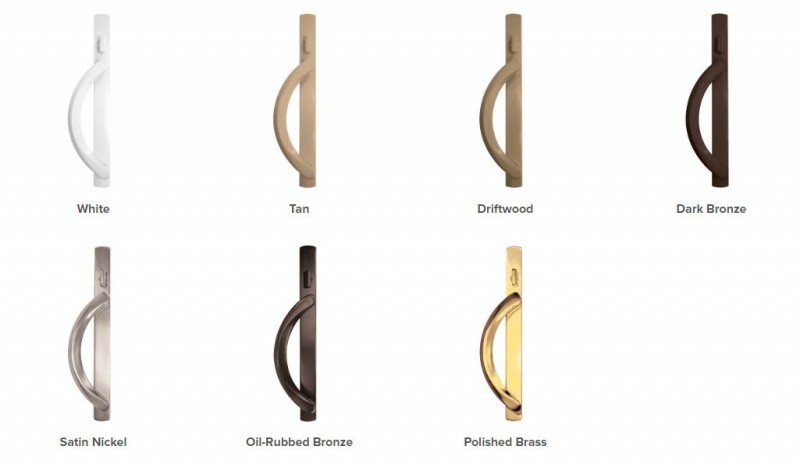 For more patio door hardware options visit Simonton Windows and Door’s website here. 3. Sliding patio doors use less space. Sliding doors are ideal for areas of your home where you don’t have much room, whereas French exterior doors will need significantly more space. Because so many homeowners love the look of French doors, but don’t necessarily have the room for them, patio door manufacturers started offering sliding French patio doors. 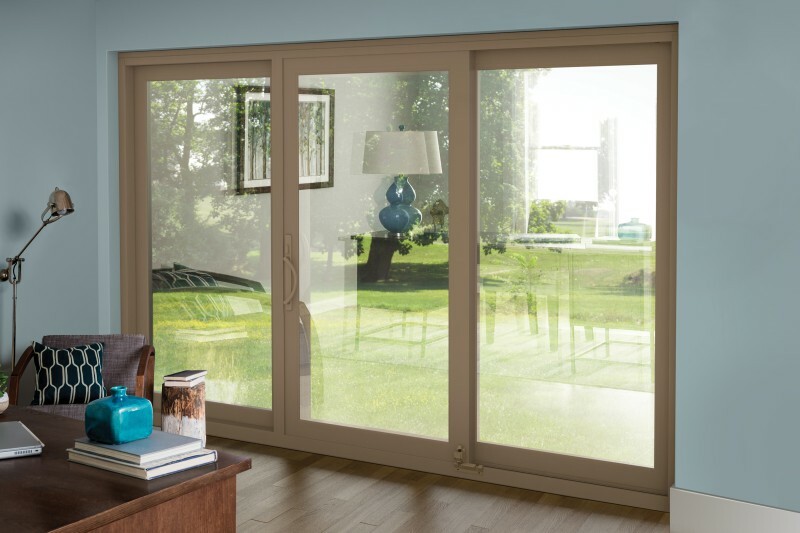 French sliding doors combine the wider, traditional frame of French doors with the operation and function of a sliding door, so homeowners get the best features of both patio door styles. In summary, which is better, sliding or French patio doors? The answer really depends on your needs. If you’re looking for a patio door that’s cost-effective and doesn’t use much space, then a sliding patio door is the best option. But, if you want a more traditional look and have the extra space, French patio doors could right for you. Either way, with the customization and energy efficiency options now available with both door styles, you can’t go wrong. Want more home improvement tips sent to your inbox? Can you get inside the glass window blinds in a triple pane patio door window?